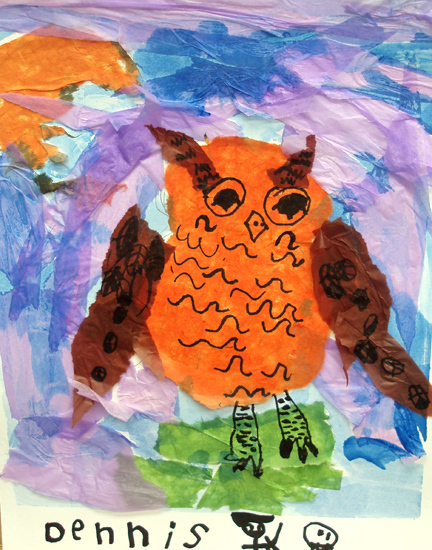 For this project our Art Combo students used tissue paper of different colors and texture and felt-tip pen. 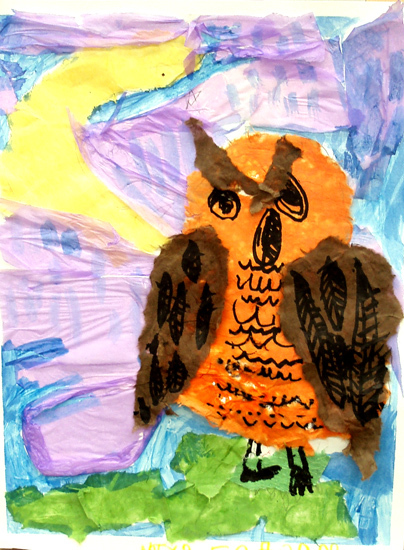 All parts of this collage were torn out of tissue paper in specific shapes and glued to the drawing. 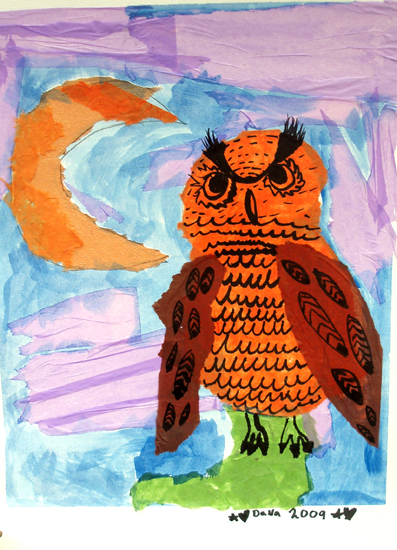 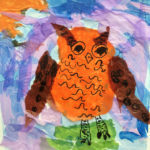 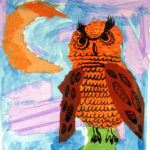 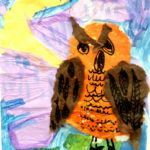 Students added details such as the beak, tufts and eyes with felt-tip pen.